Sorry to my vegetarian friends but I once ate frog legs thinking I was eating crab legs, I was mortified! "Conservation Social Work" is my platform. 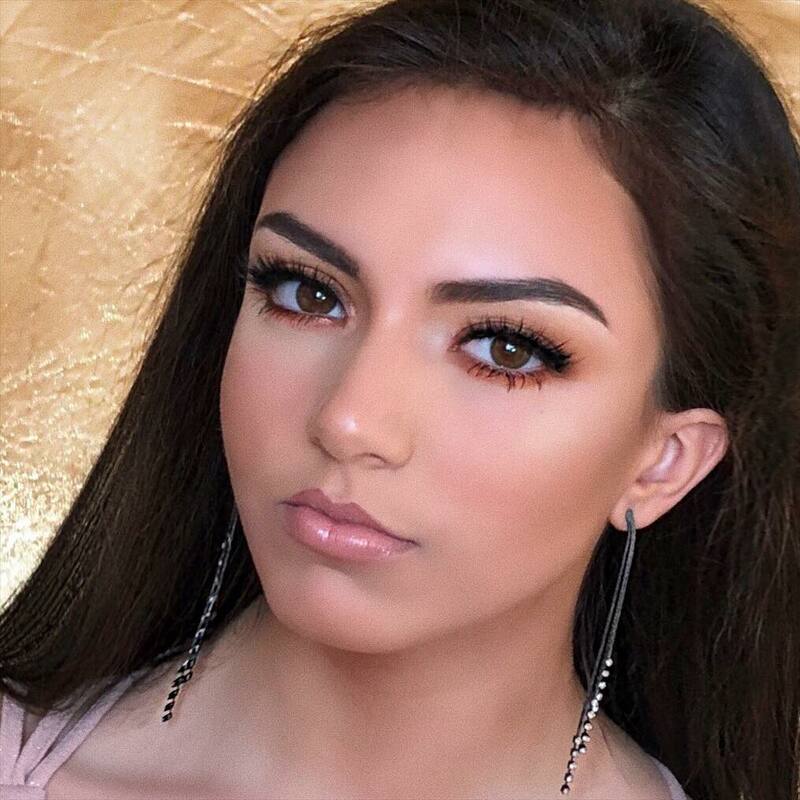 I am advocating for environmental responsibility, sustainable agriculture, humanitarian aid, and animal preservation through the use of social media, public appearances, volunteering, and mission work to educate and bring awareness to these causes. 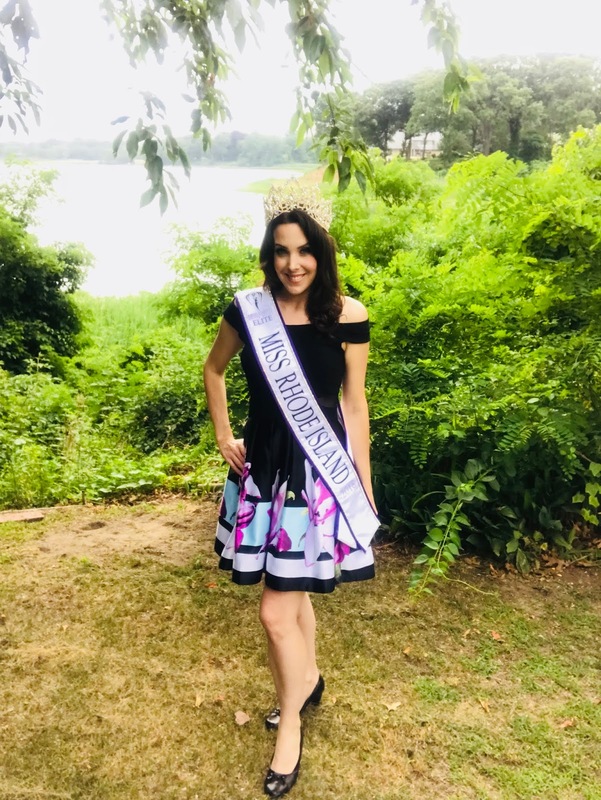 The whole experience of representing my state of Nebraska and the Miss Earth Organization, finally meeting everyone in person, taking part in a community clean-up, seeing all the sights, and of course, dancing and being on stage! I definitely could not live without my family. I love my parents and my siblings immensely, they are my biggest fans and my main support system! I am really close to my brother Zach, who is a United States Marine and one of my best friends. I started singing when I was 3-years-old and fell in love with the world of music. First of all, my advocacy is to preserve and protect Earth by reducing and removing plastic waste. Earth is truly a gift and has been taken advantage of for hundreds of years. It is up to us now to work on changing our behavior and working to cleanse the Earth of garbage and damage. These changes will not happen overnight, but the more awareness we spread about recycling, picking up trash, reusable straws, bags, and cups, plant diversity, and etc... we can begin to cause multiple ripples and then hopefully a wave of change. Let’s be the difference our Earth needs and the people of Earth need. My personal platform is “You Define You.” I came up with this movement to teach men and women all over the world that their circumstances do not have to define them. This is a movement to become extraordinary. We need to dare to dream bigger than we have ever dreamt before, and have the courage to pursue those dreams. We can break out of whatever box we are placed into, either by ourselves or by others, and become the incredible person we are meant to be. It begins with believing in yourself, and recognizing that you are capable of achieving whatever it is that your heart desires. Make the changes necessary and chase after your dreams and goals. Believe in yourself: I believe in you. I am honestly most excited about the experience itself. It's not every day you get to compete on a National stage and meet extraordinary women from all over the country! I am also extremely honored and excited to sing as a part of the production at MEUS! I could not possibly survive without my family. I could be the richest, most famous, and successful person on earth, but without my family, it would be like I had nothing. They support me, encourage me, and most importantly love me unconditionally. I know the question is what thing I couldn't live without, so I guess I would say "love." Family is true love. One fun fact about me is that I am a certified Professional Pet Assisted Therapist. My first beagle Elvis and I volunteered at nursing homes, schools, group homes, hospitals and more. My platform is “We Are All Connected.” I want to help people awaken from the illusion of separation and to understand that we are all connected: nature, animals, and humanity. We are all Earthlings. Every action we take has an impact on others. It feels great to know that we can live a lifestyle that shows compassion, love and respect for humanity, animals and our planet. I am looking forward to meeting many amazing women who share my values of love and respect for Mother Earth. I am also excited to visit the amazing sites of Washington, D.C. including the Smithsonian Museum of Natural History. I can't live without my family and dogs because love is essential to the existence and they provide me with love. I am adopted from Siberia Russia. My platform is to bring awareness to plastics and our ocean. Plastic pollution not only affects us but also affects our marine life. I am looking forward to meeting all the contestants and making lifelong friendships. Something I cannot live without would be my fur babies, I have seven dogs and two cats. They are all adopted. Fun fact about me is that I love painting. My platform is "Greener Cleaner Houston" and recycling clothes. Meeting all my pageant sisters and being a part of the Miss Earth Experience. I cant live without the support of my friends and family. That's what inspires me and keeps me going. My middle name is Amira, which means Princess in Arabic. My platform is “Sydney’s SOS” – Sydney’s Stance on Sustainability. This means that I advocate for sustainable travel and the reduction of single-use plastics, particularly straws. I am looking forward to meeting the other like-minded titleholders, making lifelong friendships and hopefully taking home the title of Teen Miss Earth United States. I feel that the one thing I or anyone could or should not live without is the love of friends and/or family. My friends and family's support system have helped me become the person I am today. I have two sides of me. I love pageants, modeling, fashion, and glam. The other side I love adventures, camping, Netflix binge days and wearing no makeup at all. I am a 21- year old vanilla milk tea enthusiast and I was born and raised in a small town called Glenwood Springs, Colorado. 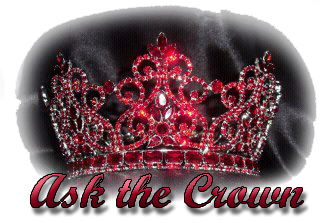 Growing up I loved being on stage and writing so as I have gotten older I have found my two passions within pageantry and blogging. My platform is "Small actions, Huge Impact." I want to use my platform to promote environmental awareness through our community and how taking small actions to help improve our environment can create a huge lasting effect in our world. The experience. 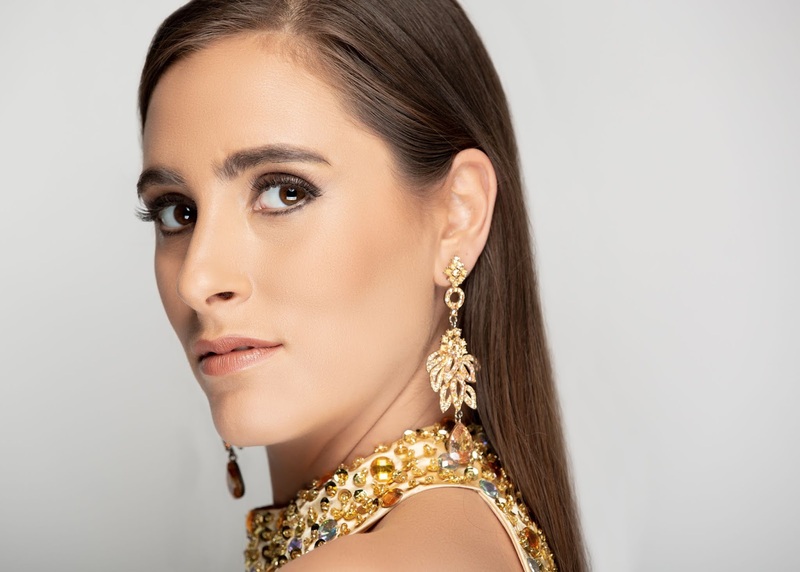 I have worked so hard to get to this point and being at Miss Earth United States is a celebration of beauties for a cause and all the change we have made within environmental awareness. My camera. Memories are so precious to me and I love being able to capture moments through my lens that I can save forever. 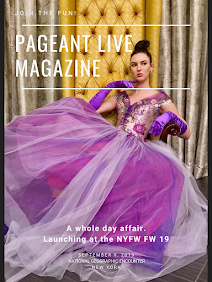 Queen Beauty USA is looking to bring the "beauty" back to pageantry and to unapologetically celebrate that women can be beautiful inside and out, and compete to advance their career goals and aspirations in the modeling, acting and entertainment industries without needing a story. 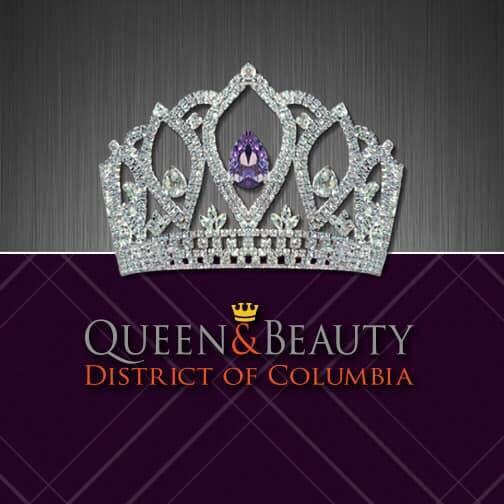 Queen Beauty USA is the official country preliminary to the Queen Beauty Universe or La Reina Belleza Universo in Spanish, an international pageant system of King & Queen Beauty Spain or Rey & Reina Belleza España in Spanish. 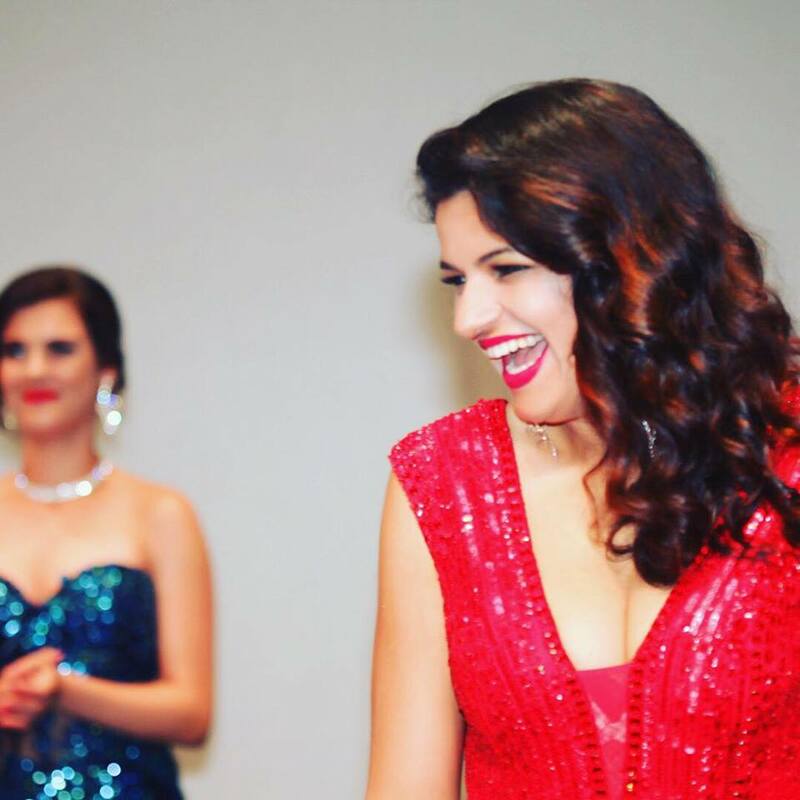 The system is nearly five years in running and aims to bring a fresh perspective to pageantry. 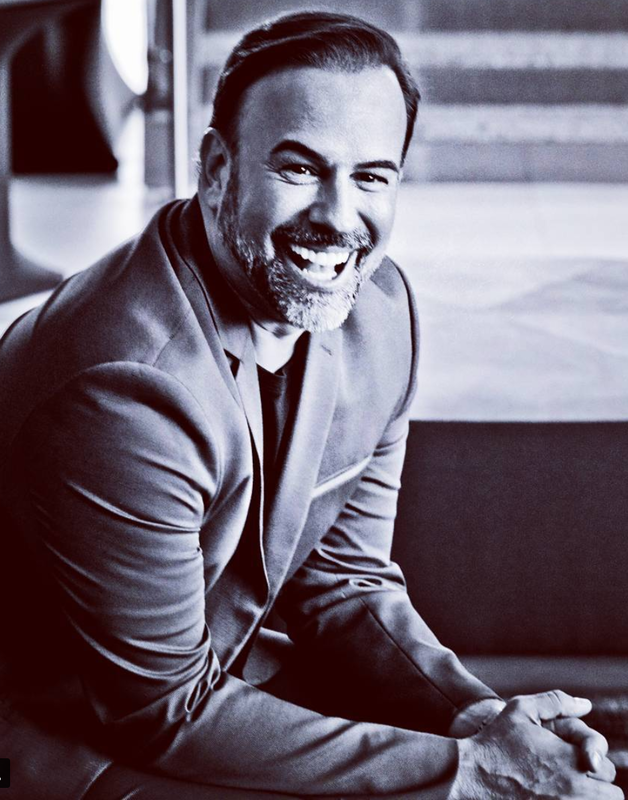 Thom Brodeur-Kazanjian, President of Queen Beauty USA, was selected out of the dozens of submissions for the license. Thom brought Queen Beauty USA to the United States during the evolution and changeover period, the time when Miss America and Miss Universe Organization(s) have signaled changes of their brands, in hopes to accommodate on what they believe their audience would love to see. 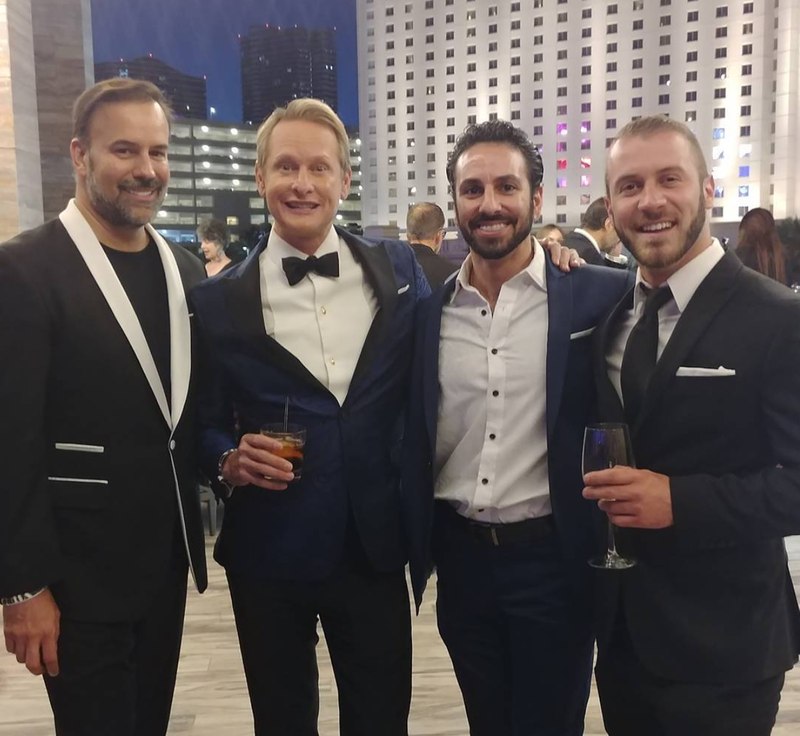 He quoted, "That was the time of a very tough pageant market.” Needless to say, Thom is shaking things up and is determined to bring glamorous elements back in the center stage. 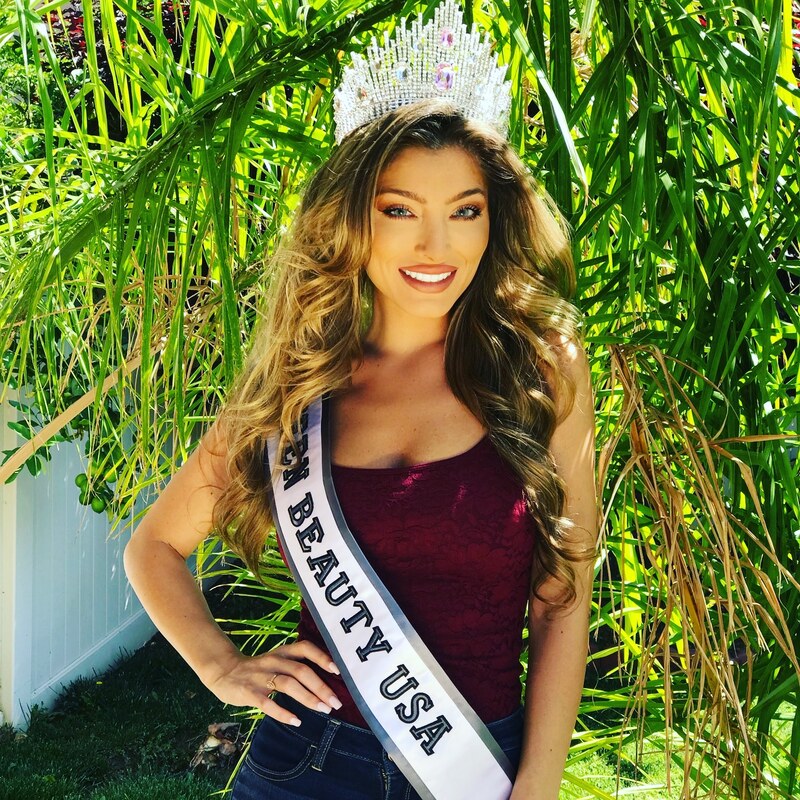 Queen Beauty USA 2019 pageant will be held in Arizona in the summer of 2019, where Thom planned to produce the pageant using television and digital platforms. 2. He is family-oriented. Thom is an only child! He was born in Ft. Lauderdale Florida, raised outside of Youngstown Ohio, graduated 7th in his High School class, and he was the class Vice President, Prom King and co-editor of the High School newspaper. How impressive! Thom and his husband Tavit are the proud fathers of their awesome 13-year old son, Dante, and four vertically challenged dachshund puppies namely Google, Giggle, Atlas and Apollo. “The mission of Queen Beauty USA is to bring the "beauty" back to pageantry and to unapologetically celebrate that women can be beautiful inside and out, and compete to advance their career goals and aspirations in the modeling, acting and entertainment industries without needing a story, without needing a platform, without needing to defend beauty by convincing the rest of the world how empowered and strong and "more than" just beautiful faces and bodies. We know that. We believe that. And we think it's high time to celebrate beauty again without "qualifying" it in some other way, first." Thom’s passion to empower is incredible. Remember, be unapologetically YOU. 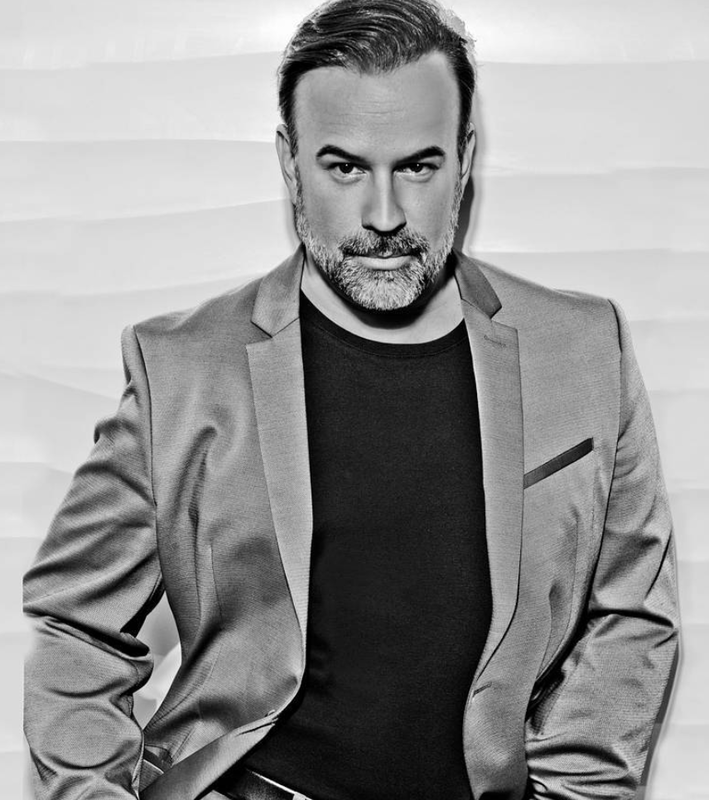 You can follow Thom on his personal Facebook or Instagram and at the Official Queen Beauty USA Facebook or Instahandle. Miss America In Identity Crisis, An Iconic Era Over? The current Miss America 2018 Cara Mund may be in favor of eliminating the swimsuit and evening gown competition, but not all former Miss Americas are on board with the controversial decision. 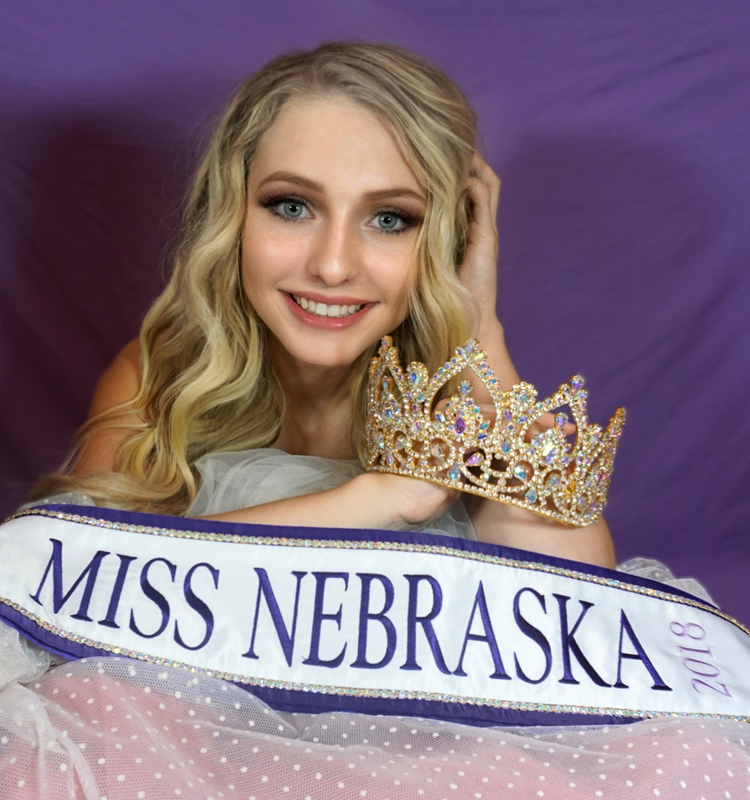 In December 2017, thousands of contestants and titleholders rallied together to sign a petition in wake of the Sam Haskell email scandal that ousted him from his leadership position as CEO. Newly elected chairwoman of the Miss America Organization Gretchen Carlson, Miss America 1989, had championed to save the program and beloved pageant on January 1st. On June 5th, Ms Carlson announced Miss America 2.0 on ET. And then it became a love-hate relationship overnight. In the blink of an eye, the pageant was completely turned upside down and stripped of its identity and origins as a bathing suit beauty contest with the announcement of the swimsuit and evening gown elimination. Meaning precisely that the Miss America as we all know and love will cease to exist. Miss America's decision would take away from one of the hallmarks of the iconic pageant with its emphasis on health and fitness. Miss America 2016, Betty Cantrell, who has been working to advocate for healthy lifestyle initiatives and address pertinent issues such as obesity in Georgia post her reign, views the change as a step backwards and that it shames women in celebrating positive body image. Accordingly, in an article from NBC News featuring Ms Cantrell, she stated, "Miss America is about having beauty and brains — it's not about being Miss Businesswoman. It's essentially saying that women shouldn't be proud to be in their own skin. We're telling women to cover up. This is setting women back decades." Furthermore, Cantrell says, "I hope they get the reaction they want but I don’t think that this will help with their ratings. I’m concerned about the future of this organization." Miss America 2017 Savvy Shields echoed a similar sentiment and felt that she was empowered in all areas of the competition, whether it was the swimsuit or evening gown portion. She shared this message on social media, "It’s my hope that Miss America will continue this legacy of strength. I felt empowered when I was wearing my evening gown, when I was in my swimsuit, when I was in my workout clothes, when I was in business attire and even when I was in sweatpants. Ultimately, empowerment is not what we wear, it’s who we are." In an Orlando Sentinel interview with Erika Dunlap, Miss America 2004, made a bold statement saying "What does a feminist look like? A feminist is someone who, male or female, wants to position women so that they are powerful and that they have choices. And so, I feel like you can be in a swimsuit and a feminist." Yes, ladies and gentlemen, you can do both. Beauty and brains can indeed go hand in hand. We took a poll on social media to gather some perspectives on this hot-button issue. The answers? A resounding NO! Not surprisingly, people like tradition and the aesthetic. Pageant contestants and the public alike are bewildered by the hasty decision to scrap the most iconic part of the competition and what it was founded on, which is bathing suits. The evening gown is also a hallmark of tradition and what the pageant is most known for, that is, showcasing and celebrating beauty and poise. 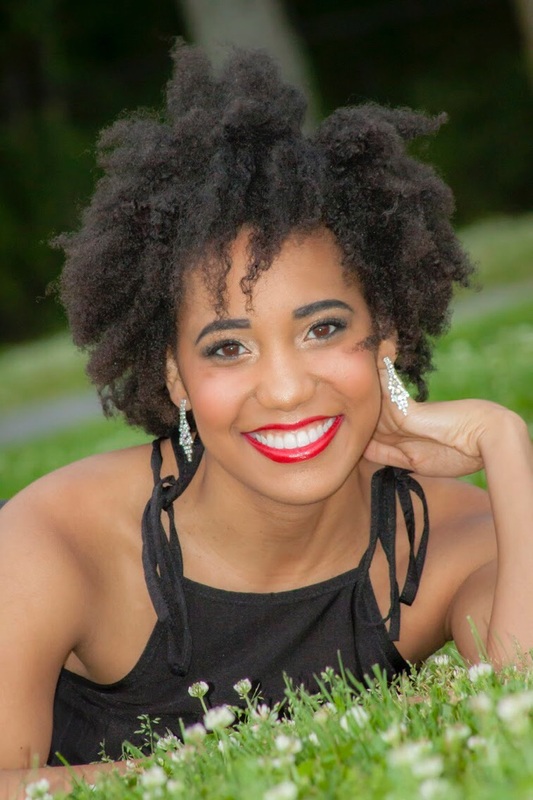 Many reported on Twitter, as well, that they vow not to watch this year’s upcoming pageant and that seeing swimsuits parade across the stage is one of the many reasons they tune in. Viewers have lamented that they will miss evening gown because it’s what makes Miss America - it is what you think of - in that crowning moment! Will #byebyebikini start a revolution, or cause a slow demise of the prestigious program? Will ratings tank from a rash decision? What do you think? Disclaimer: Quotations and photos are from different resources. 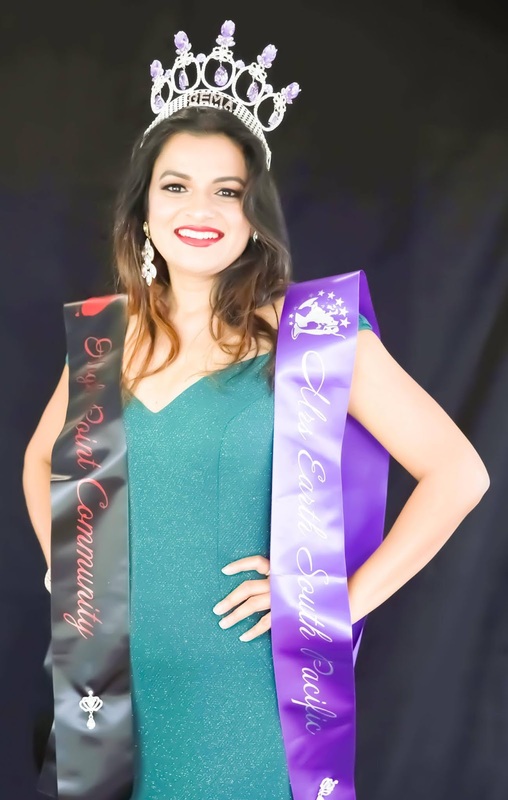 Mrs. Earth South Pacific 2018 and Global Elite High Point 2018, Dr. Sonia Sonia from Australia believes in pushing through adversity; not only surviving but thriving. 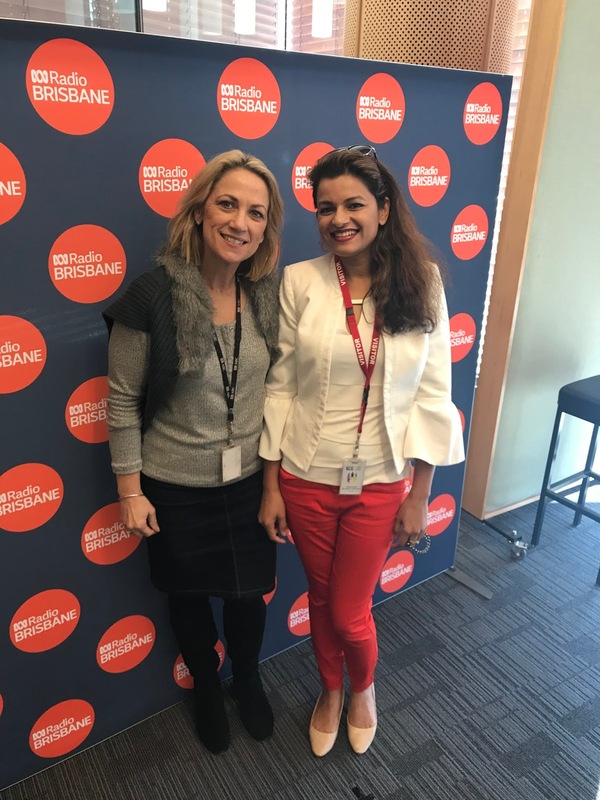 Dr. Sonia, herself, is a survivor of family violence and says she knows what it feels like to carry the tag "victim" on your shoulders. That's why her mission is to empower and influence survivors across the globe to live better lives, to educate themselves, and to be involved in whatever they want to be. She advocates, "I want survivors to be the Kings or Queens of their own lives and future. I believe I was born to make a difference and people around me everywhere I go are helping me to accomplish this." 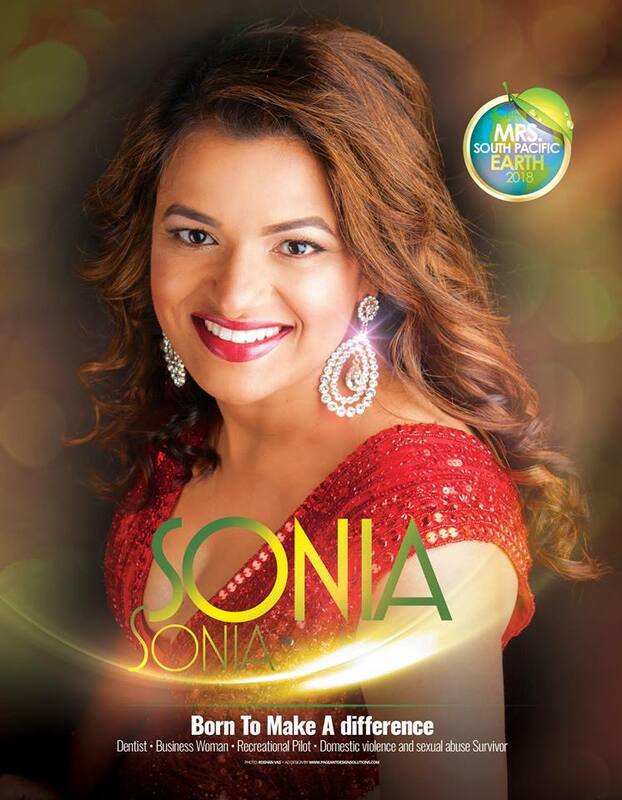 World Peace is one more thing that Dr. Sonia's wishing for! Not only around the world but at an individual level as well. "There is so much hatred around the globe. I wish we could all live peacefully in this beautiful world, and enjoy the best of both the natural and man-made world," she says when we asked if there's one thing she could wish for in 2018. And added, "At an individual level, to improve quality of life and relationships amongst each other." Aside from the fact that she is a science genius and a beauty queen, she is also a recreational pilot trainee! Cool, eh! November 2017. Mrs. Earth is my second pageant, it was a childhood dream come true. I was so impressed by the commitment to community work by pageant delegates. I believe winning a title is a big responsibility. Do you know any other job around the world where it’s mandatory to do community service as a part of your role? It's not just dolled up and rock up, it's so much deeper than that. It’s about doing your part, big or small, in making our community and world a better place. I believe if we all work together, we can achieve this. Why did you choose the Mrs. Earth system? I went to New Zealand last year with my kids and family to see glaciers. I was there nine years ago with friends, and it was so beautiful. I was gobsmacked when I saw that it has receded more than 2km in 9 years. I believe we are borrowing Mother Earth from our kids, we need to take care of it so that we can return it to them as beautiful as we received it. Do not treat it like an inheritance from ancestors and ruin it. Mrs/Ms. Earth is the only pageant in the world that is focused on the environment. It does open your eyes and challenges your thought processes. I have stopped carrying plastic water bottles and supporting and have started promoting a more recyclable and environmentally-friendly lifestyle. Also, Nicole Smith, the Mrs/Ms. Earth pageant director in Australia is amazing. She literally takes care of me like her family. In pageant world we are all big family - we support, cheer and look after each other. I could not think of a better platform than Mrs. Earth. My five-year-old daughter is so inspired and excited that I am Mrs. Earth South Pacific, and I will look after the ocean and trees and butterflies for her. As a titleholder, if I can inspire little kids to look after the Mother Earth, there is nothing better and bigger than this. Imagine ever being in a situation where you think the best way to get out is to end your life... Suddenly someone gives you a hand and pulls you out of that situation and shows you how beautiful life is. I have been there, I am grateful for people giving me a hand then. Now I want to be that helping hand. I have been helping domestic and family violence and sexual abuse victims for many years. This year I have started a not-for-profit organization, ReStored: Be A Helping Hand. The premise of ReStored is dentists along with other professionals across Australia and the globe joining hands to restore survivors' smiles, confidence but above all else, their self-esteem. 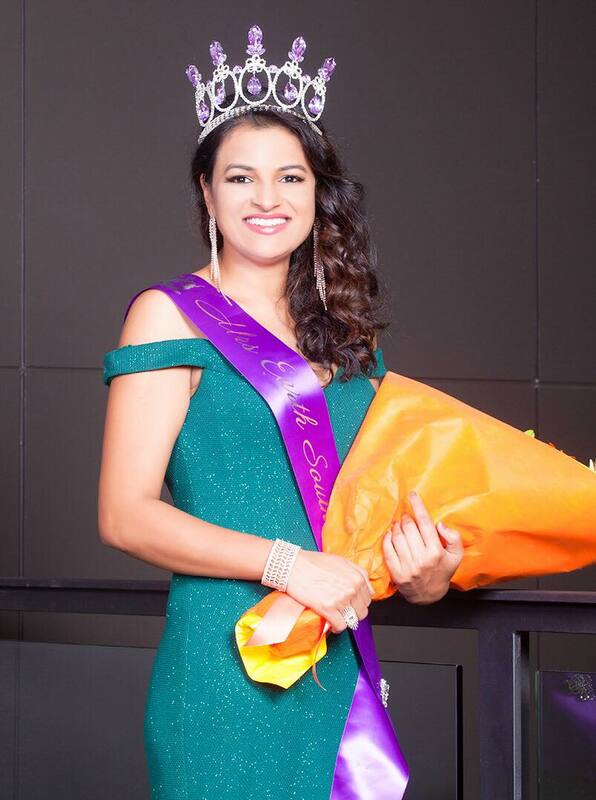 I am a wife, mother of two beautiful kids, dentist, businesswoman, entrepreneur, public speaker, trainee recreational pilot, Mrs. Earth South Pacific 2018 and Ms. 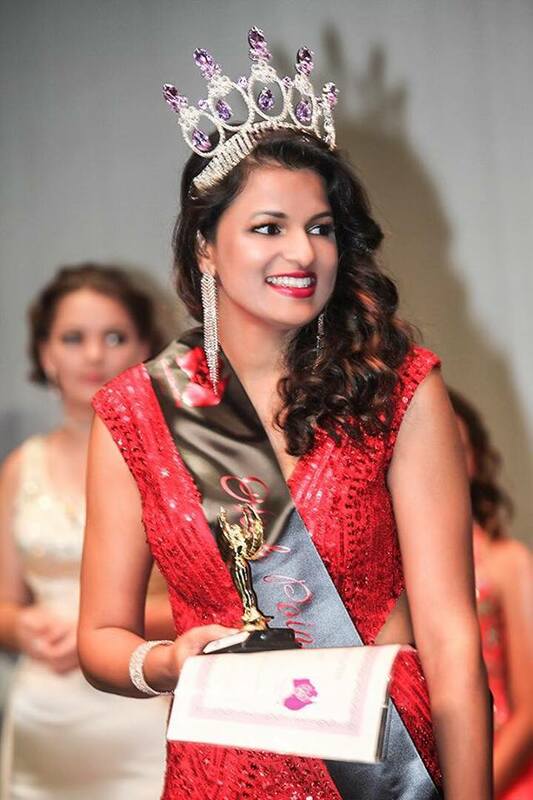 Global Elite High Point Community Queen 2018. People. I am passionate about people. I love meeting them, talking to them, knowing about them, helping them. Dentistry allows me to do all that plus help them feel relaxed and free of pain and embarrassment. Anything I do in my life revolves around this philosophy. I am genuinely interested in people. I live by the quote - "If you love what you do, you will never work a day in your life." I believe beauty is a character. It is a combination of many traits in an individual. Everyone is different and perceives beauty differently. Beauty for me is an advocate of kindness. It’s about being authentic, joyous, humble. It's about inspiring people you come across with. It's a lifelong asset and brightens and enlightens the world forever. I do firmly believe that I AM BEAUTIFUL! I always spread this message to everyone I meet - that they are beautiful. Do not get me wrong, outer beauty is impressive as well, however, that fades out soon if you do not have substance. Do you know that this term does not exist in many languages? Empowerment for me is empowering yourself and others to believe in yourself and make a change around you or in your community. To know your worth. It’s about helping each other and lifting each other up. Life’s journey can be boring if you walk alone. Imagine a group or a tribe of women who think alike and have the same goal of making this world a better place for all women to live? Nothing is more empowering than that. There is a saying, "When you empower a woman, you empower a whole generation." I believe this is the fastest way to change the world. My kids. It's the unconditional love they have shown me. So in brief: Love. I am a human, a social animal. We all have basic needs of belongingness. On a lighter note, research conducted in the UK recently showed that 50% of women can’t live without brushing their teeth. This makes me feel happy as a dentist and as a woman!